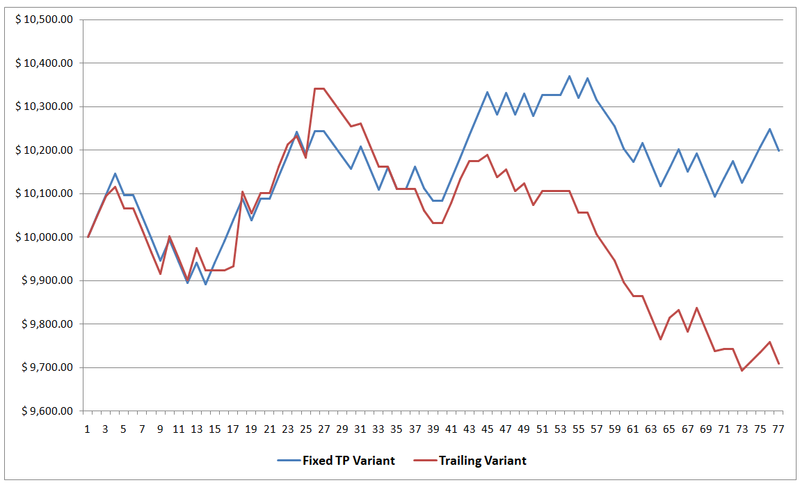 The short of it is that the Fixed TP Variant recovered a bit while another round of limited volatility and choppy price action, as well as the lack of strong trends, continued to take a toll on the Trailing Variant. 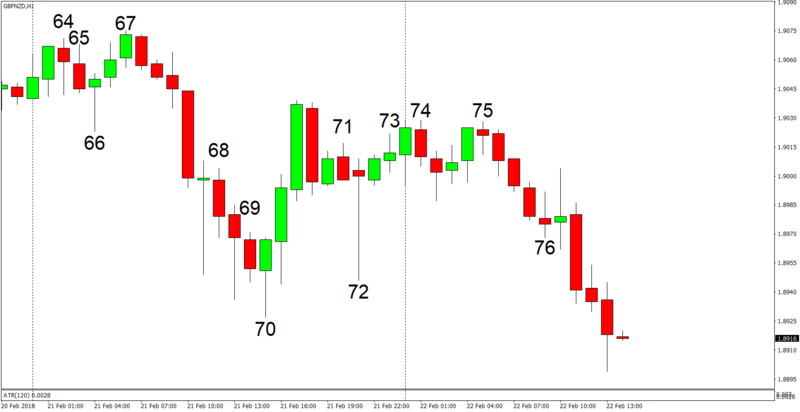 Note: The trailing rules on trades # 73, 74, 75 are already active with some gains locked in. The Fixed TP Variant captured five wins and suffered four full losses. 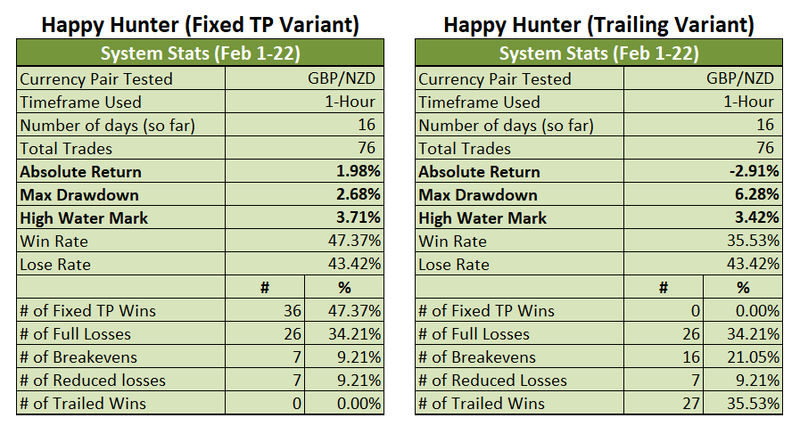 However, the Fixed TP Variant’s gains for the month only increased slightly from +1.93% to +1.98%, thanks to the system’s poor reward-to-risk ratio due to the relatively high spread on GBP/NZD. Still a pretty good showing, though, given that the system is still in positive territory after nine consecutive trading days of choppy, sideways price action, with abnormally low daily volatility to boot. The prolonged period of very unfavorable trading conditions is really taking a toll on the Trailing Variant, though, since the Trailing Variant is now down by 2.91% for the month (was down by 2.26% yesterday). Moreover, the Trailing Variant’s draw down deepened further from 5.72% to 6.28% since the system’s trailed wins just can’t offset the full losses, given the limited daily volatility and sideways price action. Anyhow, that’s all for now. Tune in again tomorrow! And as always, I enjoy your feedback (and I usually answer within a day), so if you have any questions, or if you found a possible error somewhere, or if you just want to say “hi”, then don’t be shy and write a comment down below!